Female fully winged. Body and legs yellow, antennal segments III–VII brown; fore wings pale; ocelli apparently lacking red pigment. 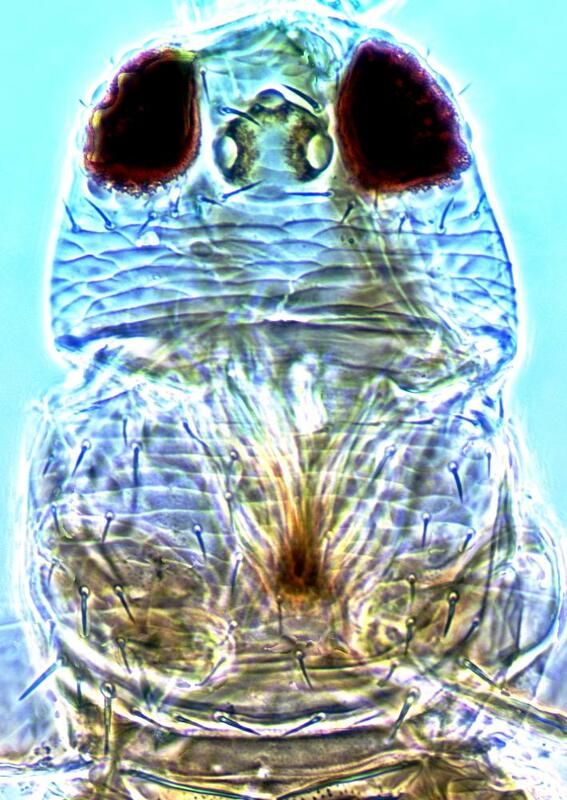 Head wider than long; two pairs of ocellar setae; pair III shorter than distance between posterior ocelli, arising lateral to first ocellus; postocular setae all smaller than ocellar setae III. Antennae 7-segmented; segments III–IV with short forked sensorium. Pronotum with 2 pairs of unusually short posteroangular setae, scarcely twice as long as median discal setae; posterior margin with 2–3 pairs of setae. Metanotum with longitudinal lines, irregular at anterior; median setae arising behind anterior margin; campaniform sensilla present or absent. Fore wing first vein with 3 setae on distal half; second vein with row of about 12 setae. 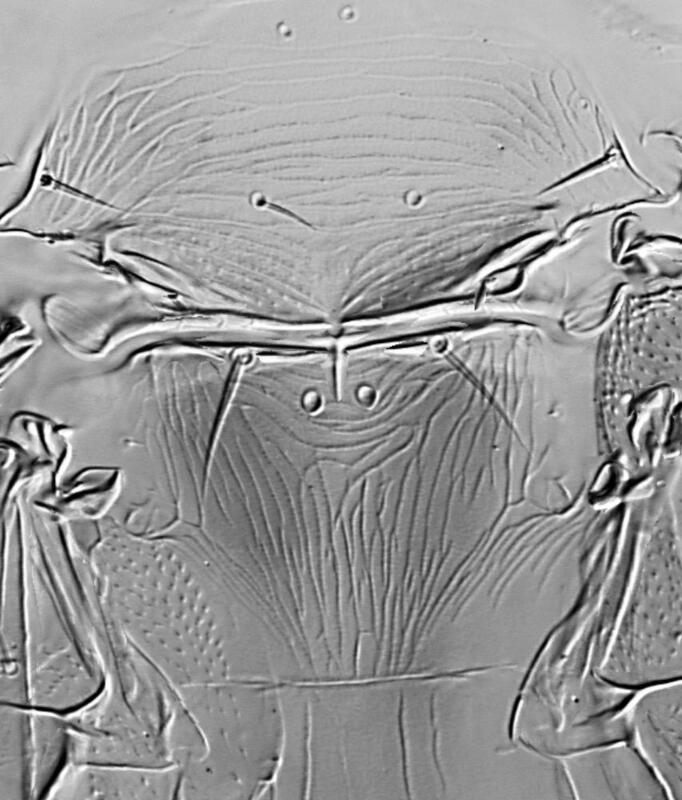 Abdominal tergite II with 3 lateral marginal setae; tergites V–VIII with paired ctenidia laterally, on VIII posteromesad to spiracles; tergite VIII posteromarginal comb complete, microtrichia long and slender; pleurotergites without discal setae, sculpture with weak triangular teeth. 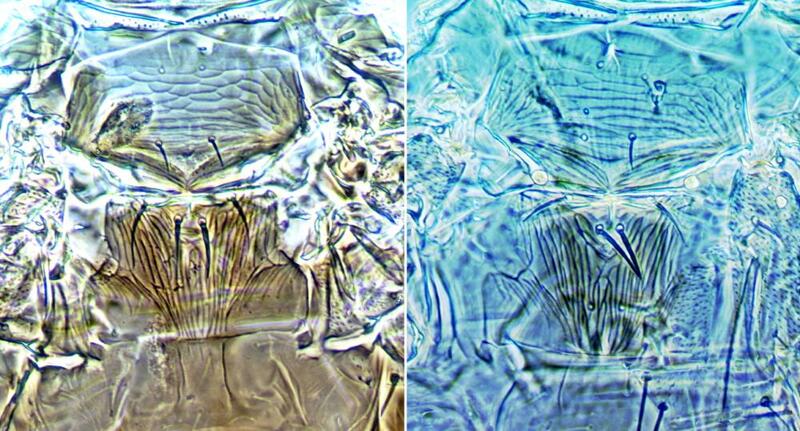 Sternite II with 2 pairs of marginal setae, III–VII with 3 pairs; sternites without discal setae. Five paratype females of this species have been studied. In two of these the metanotum has no campaniform sensilla, but the other three all have these paired sensilla present. This pale yellow species has unusually short major setae. 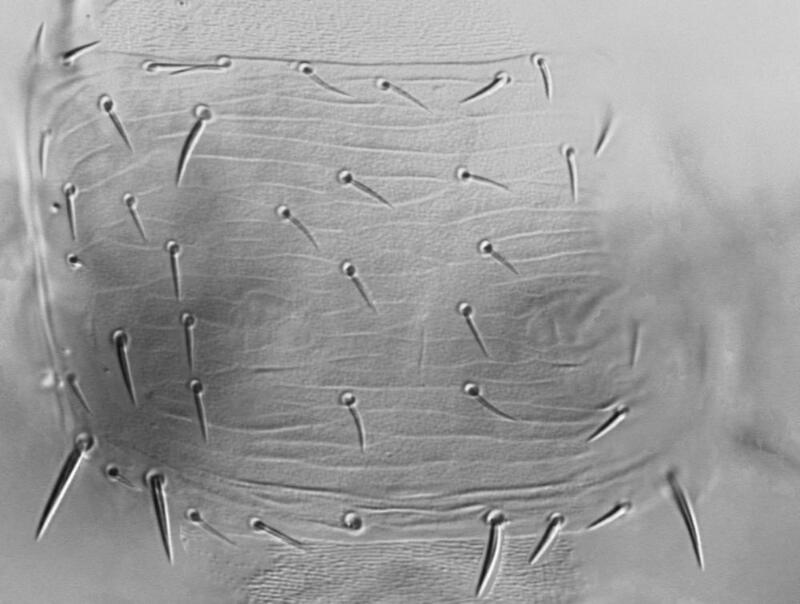 In contrast to T. brevipilosus tergite VIII of T. sierrensis has a complete posteromarginal comb of microtrichia. It is also said to be similar to T. nelsoni Nakahara, a species that has longer pronotal setae and is known only from five females taken on Abies lasiocarpa in Washington State. 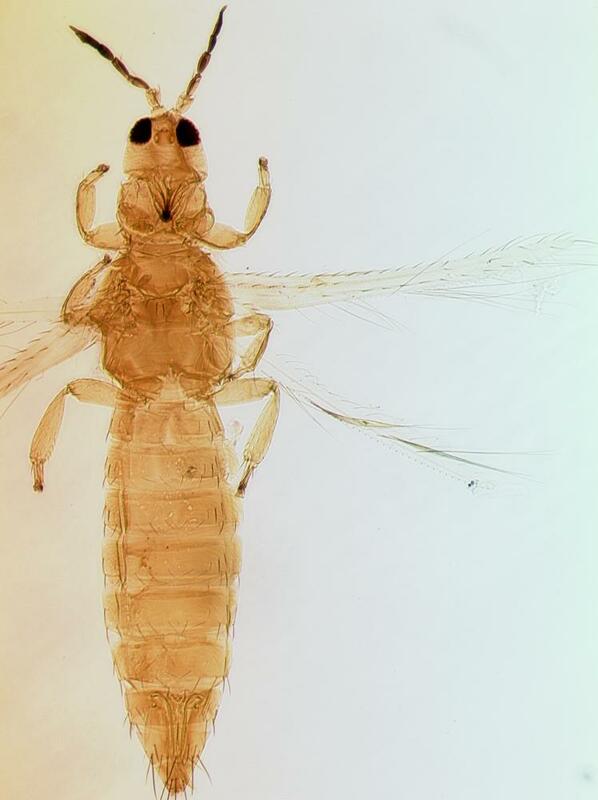 The genus Thrips is the second largest genus in the Thysanoptera, and currently includes, worldwide, about 285 species. 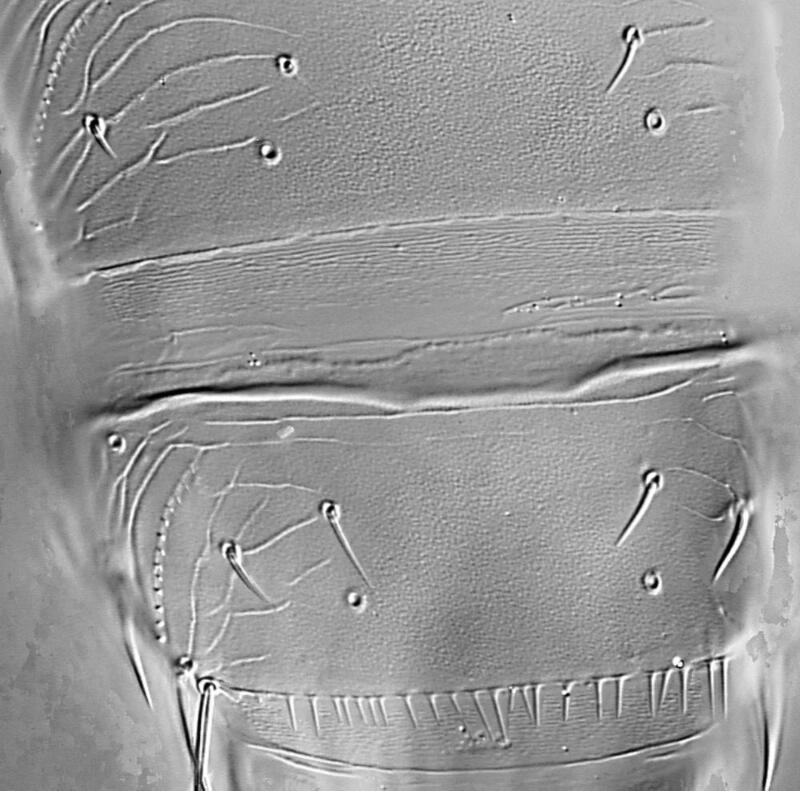 All members of the genus lack ocellar setae I on the head, and they all have ctenidia on tergite VIII posteromesad to the spiracles. 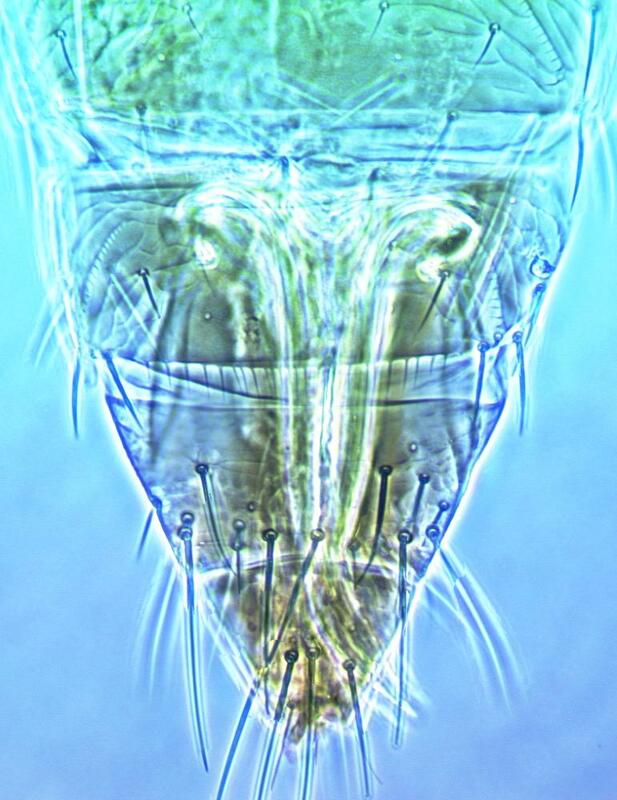 Other characters, such as number of antennal segments, number of setae on the fore wing veins, and number of discal setae on the sternites are variable between species (Palmer, 1992; Nakahara, 1994; Mound & Masumoto, 2005).